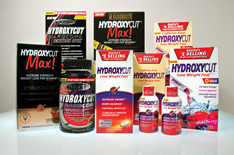 On May 1, 2009, the Food and Drug Administration issued a consumer alert and announced a recall on the sale of all Hydroxycut Products in the United States. The alert advises consumers to immediately stop buying and using Hydroxycut products because use of these products has been linked to significant adverse reactions including seizures, cardiovascular disorders, rhabdomyolysis (a type of muscle damage that can lead to kidney failure), liver damage, and death. Consumers who have any of the products involved in the recall are advised to immediately discontinue use and return them to their place of purchase. The law firm of Meyerson & O’Neill has been successfully prosecuting claims on behalf of the victims of dietary supplements since 2001. Our lawyers are currently investigating claims of consumers who may have been injured by use of Hydroxycut products. Our attorneys are actively involved in ongoing pharmaceutical law suits in several states. Our policy is to seek full damages including punitive damages for persons injured as a result of consuming defective dietary supplements and weight loss products. Too often dietary supplement manufacturers, health food stores, and distributors have sought quick profits without consideration for the risks posed to the consumers of these dietary supplements. If you or a loved on has suffered serious injury or health problems after taking a Hydroxycut product then you may be entitled to monetary compensation for your injuries and damages. If you would like to have an attorney contact you for a free confidential consultation, please contact us. Hydroxycut Info. Avandia Info. Heparin Info. Yasmin, Yaz, and Ocella Info. Fleet Phospho-soda Info. Reglan Info.